Hi, do you provide shipping to Malaysia? How much does it cost? Thanks. Do you stock the transfer belt unit for the Xerox Phaser 6700? Unfortunately not, we only stock the toners and drum units for the Phaser 6700 although the part number for the item you require is possibly "007K15392". The Xerox Phaser 6700 can print up to 45 pages per minute, which definitely makes the Xerox Phaser 6700 a worthwhile tool to have at hand for a printing emergency. Printing so many pages with the Xerox Phaser 6700 can get to be expensive though, so you'll find you'll constantly need to replace things like the black Xerox Phaser 6700 toner cartridge to keep the Xerox Phaser 6700. That's where we come in. At Cartridge Save, we're constantly working hard to ensure the prices for the Xerox Phaser 6700 toner are incredibly low, so you can count on all our Xerox Phaser 6700 laser toner being reasonably cheap. Just visit our website and you'll find our wide range of discount priced Xerox Phaser 6700 toner cartridges ready and waiting! We make sure that the Xerox Phaser 6700 laser toner ordering process is as simple and fast as possible so that you get your Xerox Phaser 6700 toner without experiencing too much fuss. Each and every Xerox Phaser 6700 cartridge comes with free delivery so you don't need to bother about unexpected costs. We also ensure that a number of different services are available with the Xerox Phaser 6700 toner cartridges so that you get support every step of the way. The quality of our Xerox Phaser 6700 toner is ensured by our money back guarantee, so you can buy your Xerox Phaser 6700 laser toner without worry, fuss or trouble! The Xerox Phaser 6700 has a huge monthly cycle and can handle heavy-duty workloads, making it ideal for businesses and medium sized enterprises. Built with all the features a large office would require, the 6700 offers great print quality, easy-to-use functions and various security features. The only downside is that the printer doesn't offer scan or fax functionality. 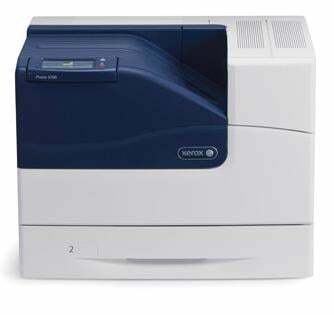 The size of the Xerox Phaser 6700 depends on how many additional trays or finishers you purchase. At its most basic, the printer stands at 560 x 516 x 429mm which would fit into the smallest of offices – unfortunately if you're after standalone device then this may not be ideal. The printer comes with a large 109mm touch screen, allowing you to see all available media types, it also comes with an Ethernet port and the option to install WiFi too. If you print in volume then you're in luck, the Xerox Phaser 6700 device has a large paper capacity of 700+ sheets. The Phaser 6700 can also handle up to 45 pages ppm in both colour and mono! Print quality is equally as impressive with 2400 x 1200 dpi print resolution. It's disappointing to see that the Xerox have not included copy, scan or fax functionality into the Phaser 6700. Having said that, if you're after a separate printer device then look no further – with lightening quick speeds and photo lab quality, the Xerox Phaser 6700 is a must-have.